Reports from the Kenai River Sportfishing Association, Alaska Outdoor Council, Alaska Outdoor Legislative Caucus & Advisory Council, Alaska Professional Hunters Association, Alaska Wild Sheep Foundation, Congressional Sportsmen’s Foundation, and updates from Alaska State Parks, Alaska Department of Fish and Game, and USFWS Office of Subsistence Management. Come join outdoor sporting groups and management agencies to learn about important fish and game issues in Alaska. Speak up to protect the integrity of the Kachemak Bay State Park ecosystem for future generations. Hatchery advocates are pushing to authorize the use of anchored net pens in the headwaters of Tutka Bay to house up to 125 million hatchery pink salmon fry, and to expand water use for hatchery production. Read more here, and sign the petition. Long-time champion of modernizing federal management of saltwater recreational fishing, Scott Deal explains why MFA is important for anglers, the economy and fisheries conservation. The Angler’s Journal has a short story on how three generations of family members are brought closer together through a shared passion of boating and fishing. In My Boat My Life: David Wilson the author tells of how the purchase of the his first boat bonds him with his father and his son. 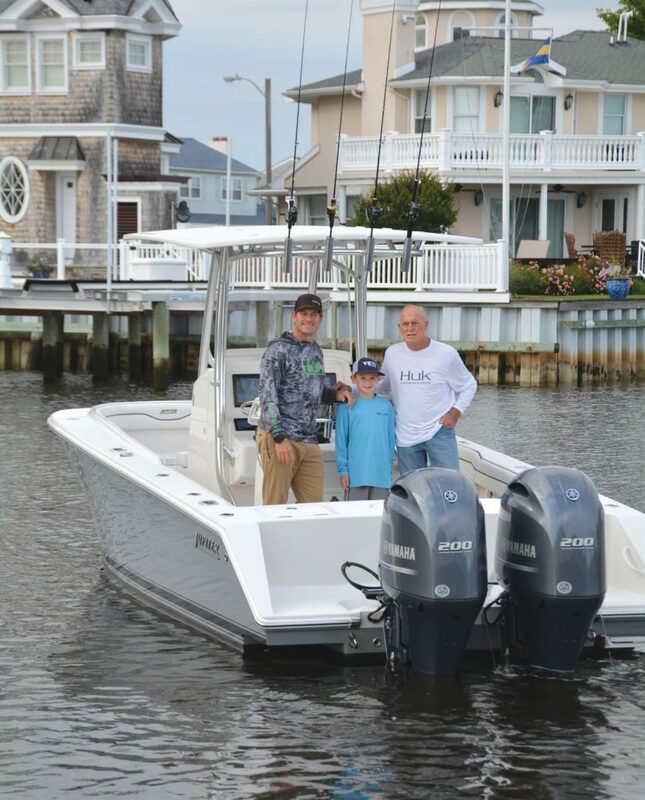 Boat designer David Wilson with his father and his son, three generations of anglers. Between 1949 and 1955, the State Department pushed for an international fisheries policy grounded in maximum sustainable yield (MSY). The concept is based on a confidence that scientists can predict, theoretically, the largest catch that can be taken from a species’ stock over an indefinite period. And while it was modified in 1996 with passage of the Sustained Fisheries Act, MSY is still at the heart of modern American fisheries management. As fish populations continue to crash, however, it is clear that MSY is itself not sustainable. Indeed, the concept has been widely criticized by scientists for ignoring several key factors in fisheries management and has led to the devastating collapse of many fisheries. Carmel Finley reveals that the fallibility of MSY lies at its very inception—as a tool of government rather than science. The foundational doctrine of the MSY emerged at a time when the US government was using science to promote and transfer Western knowledge and technology, and to ensure that American ships and planes would have free passage through the world’s seas and skies. 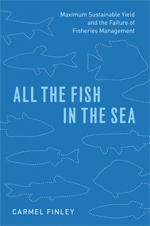 Finley charts the history of US fisheries science using MSY as her focus, and in particular its application to halibut, tuna, and salmon fisheries. Fish populations the world over are threatened, and All the Fish in the Sea will help sound warnings of the effect of any management policies divested from science itself.